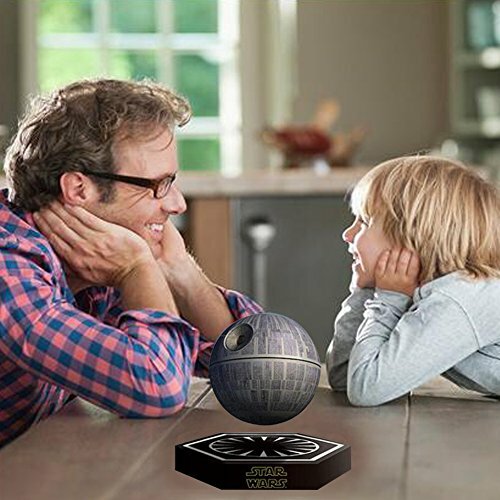 Levitating Bluetooth Death Star Speaker - Moar Stuff - You don't need it but you know you want it. 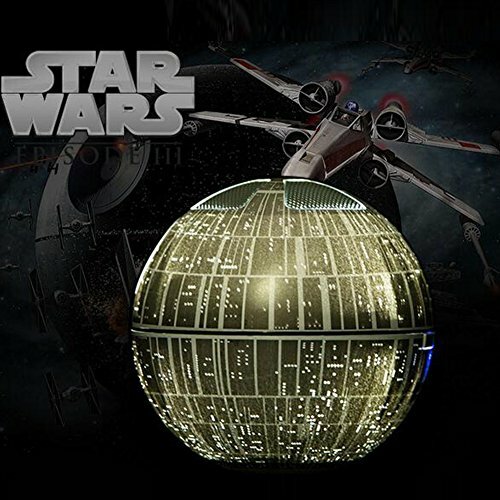 ♬ The Death Star glows in the dark!☛Most charming flashing effect make it like a Luminous Dreamlike Planet in Vast Universe. Have your music and your favorite color,amazing! 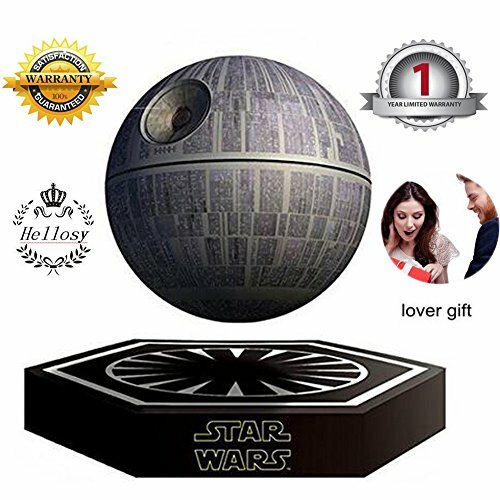 ♬ High Quality sound experience.Wireless connection to your smartphone, tablet or other Bluetooth-enabled device!Play music on smart phone/tablet, music comes out from the bluetooth speaker orb.Enjoy music, enjoy daily life, Death Star Speaker can make your life more and more splendid. ♬ Bluetooth speaker floating in the air with 10mm ground clearance.Voice prompts make pairing your devices easier than ever!Wireless connection to your smartphone, tablet or other Bluetooth-enabled device! 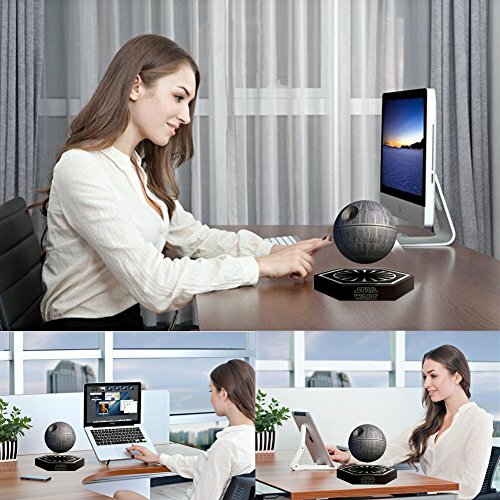 Play music on smart phone/tablet, music comes out from the bluetooth speaker orb. ♬ The only Sold and shipped by hellosy,A Perfect Gift for your wife, mom, birthday, anniversary or a wedding,Christmas party,perfect housewarming and hilarious gift! （Show them you care）- They won't be able to shut up about the fantastic gift you got them.If your friends don't think this is funniest thing they've ever seen You Need New Friends!High Quality Backed with Reliable Warranty:100% Brand New and High quality from hellosy. 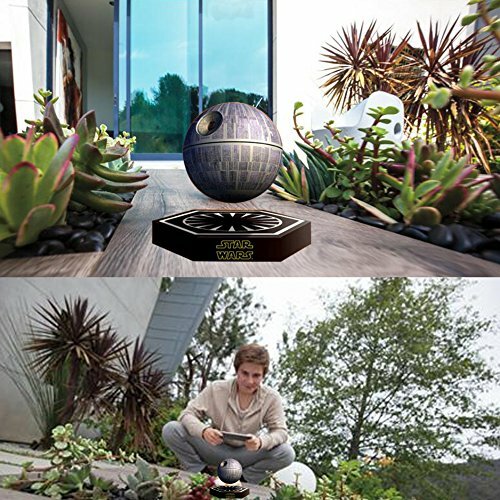 That’s not a moon, it’s a Levitating Bluetooth Death Star Speaker!! 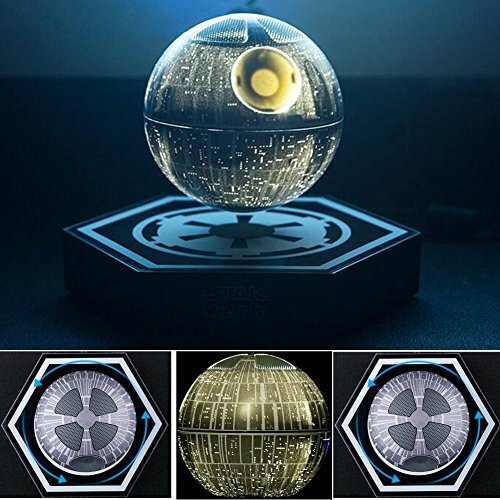 OK, that doesn’t have the cool ring of the original line but, this floating Bluetooth speaker shaped like you’re favorite imperial station is still pretty cool. It floats about 1 cm above the included base and lights up from a bunch of tiny windows (but no thermal exhaust ports that I’ve seen). It has a 1 Ah battery and can play music from your tablet or smartphone for up to 8 hours on a single charge. The speaker quality is good but, it won’t compete with high end speaker systems. There are controls on the orb for power, volume, and even hands-free calling but, they will be difficult to use while it’s floating. 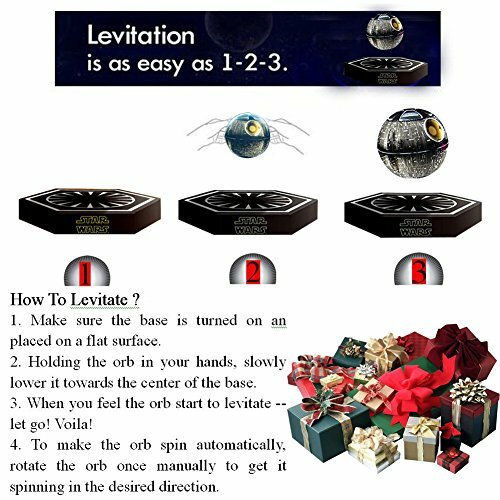 Speaking of floating, you might need to use some Jedi calm (and channeling of the force) to find the sweet spot for levitation. However, with practice, it get’s easier. 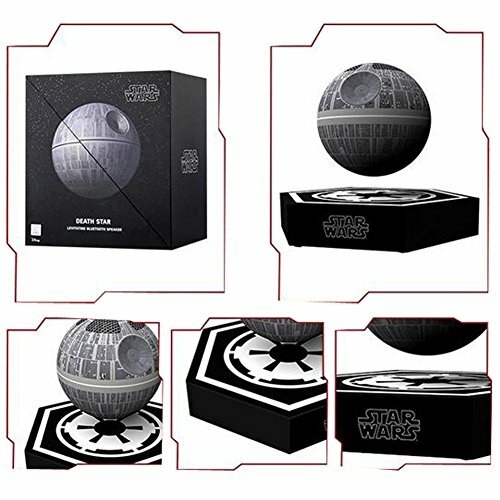 This thing is an awesome gift for Star War’s Fans, if you can manage to resist the temptation of the dark side and not keep it for yourself, that is. Dimensions: 9.1 x 8.4 x 6.1 inches (23.1 x 21.3 x 15.5 cm) . Weight: 2 pounds (.9 kg). Features 2 USB charging ports. Package Includes: Bluetooth Speaker, powr charger, user manual, USB cable, and a charging cradle.